Crock pot beef stew doesn’t need to be fancy. You don’t have to use red wine – however that crock pot stew version will be on the website soon as well! 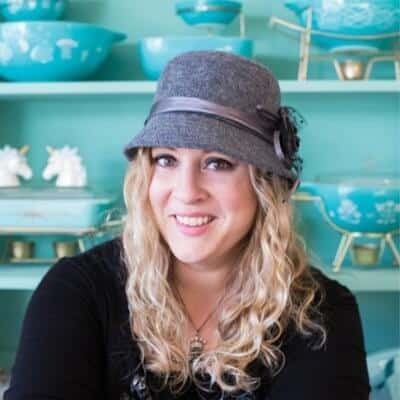 – and you need to be able to throw everything in the crock pot first thing in the morning and run out the door. That means that there’s no fancy vinegar, no odd ingredients that you don’t have in your pantry. 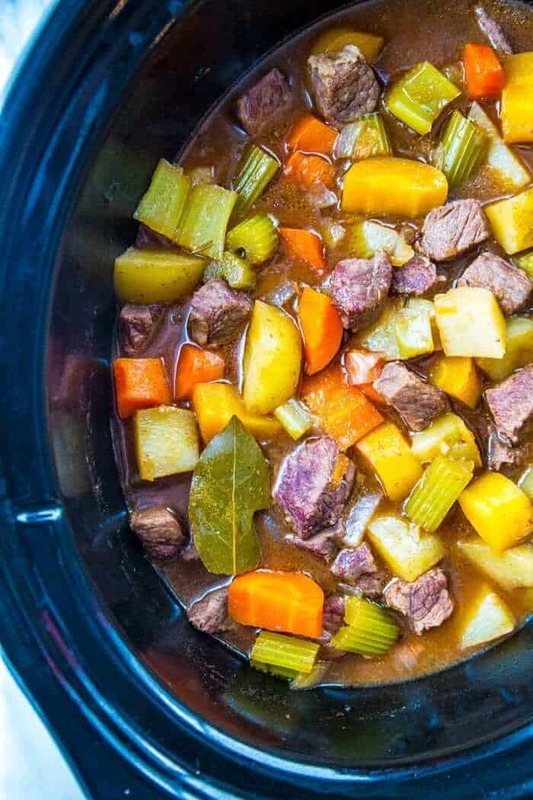 This crock pot stew is simple, delicious and is the perfect stew for emergencies when you just don’t have the fancy ingredients or the time. Keep this recipe in your back pocket! Crock pots/slow cookers are meant for beef stew. Yes, there are other beef stews that you can make in a Dutch oven, and bake it in the oven, but the slow cooker is the way to go. Not only is safer to leave the house when you are using a crock pot (I don’t personally like leaving my oven on and leaving the house for hours, but after This is Us, maybe I should be re-thinking leaving my crock pot all day….haha) it uses less electricity and is more economical than running a large oven for 3-4 hours. The low setting on the crock pot is perfect for making beef stew, it will cook it low and slow all day. Get a true slow cooker. I don’t cook low and slow with my Instant Pot, even though I can. The instant pot heats from the bottom, not on all sides so you will inevitably end up with burnt food on the bottom. Use an actual crock pot. You must brown the beef before you add it into the crock pot. Browning stewing beef adds a depth of flavour to the meat. All you do after that is add in broth and your vegetables of choice and cook all day! What is stewing beef ? Is it the best beef for stew? Stewing Beef is cubes of chuck/blade roast or even round roast that is absolutely the best beef to use in stew! Stewing beef has to be beef that become tender and more flavourful the longer you cook it. The grocery store butcher usually will trim the fat off and cut it into cubes before packaging it up – but this is more expensive per pound than it is to buy a chuck steak and trim it up yourself! Don’t feel bad if you grab the stewing meat package and go – I do this when I am in a rush as well. Will my stewing beef be tough? If your stewing beef is tough, that means that you haven’t cooked it long enough. Stewing meat will break down slowly in the slow cooker all day long. If you rush the process and don’t cook it well enough, your stewing meat will be tough. Can you overcook stewing meat? Yes, you can! 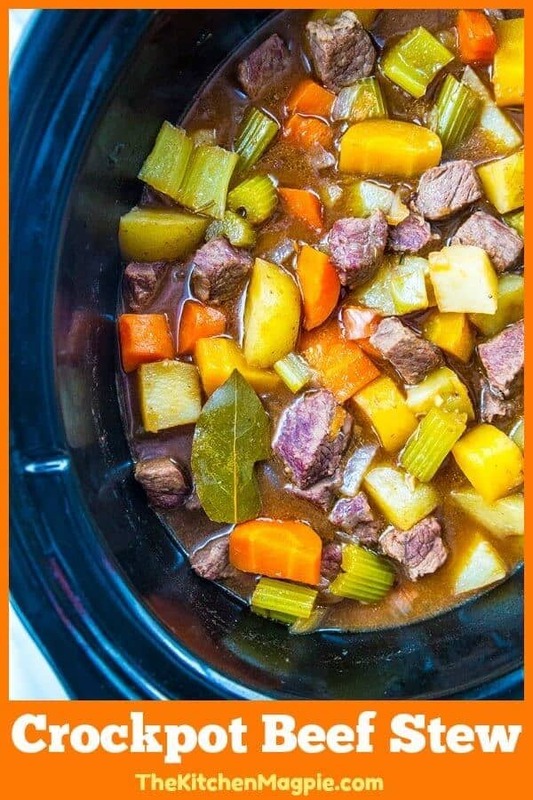 However thanks to the making stew in the slow cooker the odds of your stewing beef drying out are far less than when you make stew on the stove top or in the oven. I have never managed to overcook crock pot beef stew, just always make sure you have enough liquid and everything will be okay! How do I thicken up beef stew? You can coat the stewing beef in flour and then fry it up, the flour left on the beef will dissolve into the crock pot stew and help thicken it. I prefer to simply use cornstarch at the end, mixed in cold water and then whisk it in. You then keep whisking until the stew thickens! 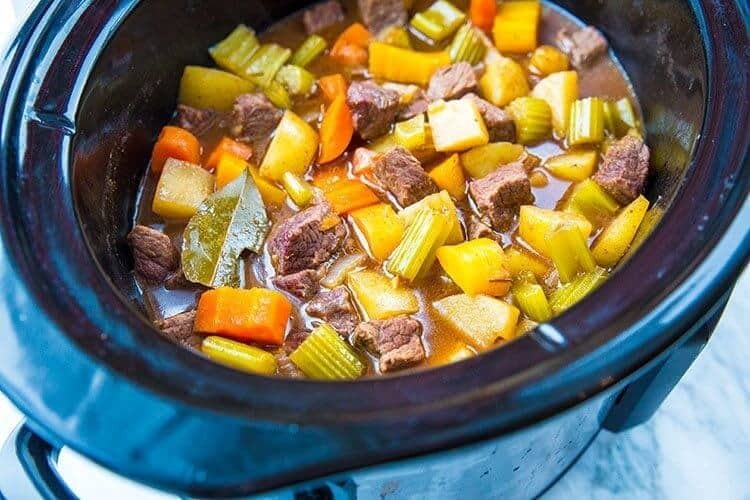 This crock pot beef stew is very forgiving and is the perfect recipe for beginning and experienced cooks. Don’t have celery? Don’t even worry about it, I rarely have celery either! I also don’t liked it cooked, so when you see it in a recipe like this one it’s because I am taking a hit for my family who does like cooked celery. I just pick it out. I know. I’m terrible. Don’t have that many carrots? That’s fine. This stew is meant to be easy, fast and get a hot meal in your family’s bellies at the end of the day! 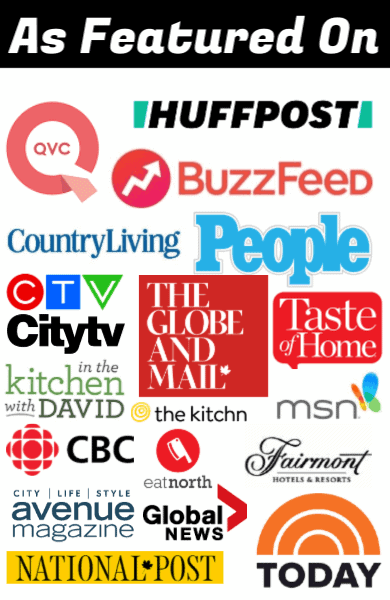 Pin This Recipe to Your Crock pot Recipes Board and Remember to FOLLOW ME ON PINTEREST! 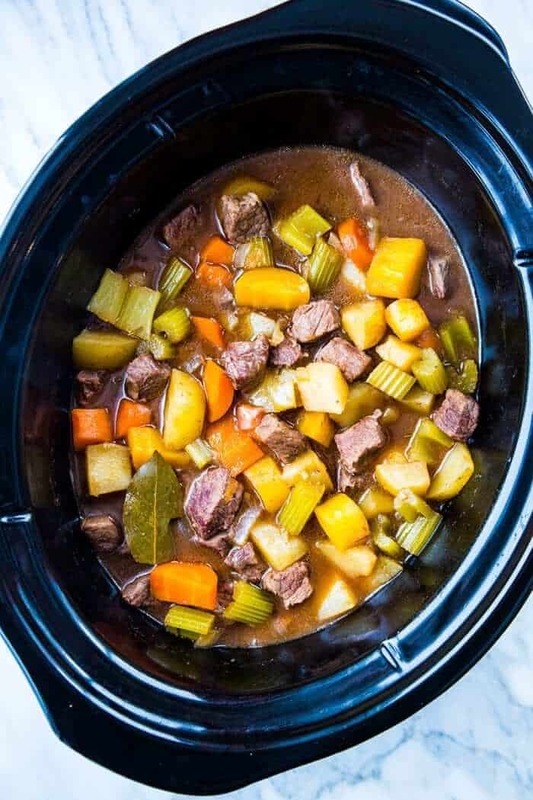 Simple and Delicious Crock pot Beef Stew Recipe. Beef stew doesn't have to be complex or hard and my favourite beef stew recipe is sure to be a hit with your family! In a large skillet cook the beef in oil over medium heat until browned. Dissolve bouillon and Worcestershire sauce in water and pour into the slow cooker. Stir in rosemary, parsley, garlic and pepper. Bring to a boil, then reduce heat, cover and simmer 1 hour. Stir potatoes, carrots, celery, and onion into the pot. Dissolve cornstarch in 2 teaspoons cold water and stir into stew. Cover and simmer 1 hour more. Once the stew is done, dissolve cornstarch into the cold water and stir into the stew. Cover and let sit for another 5-10 minutes. My husband is s diabetic and has been put on a special diet. I substituted Yams/Sweet Potstoes for the potatoes. And to thicken the broth I use Almond flour. Along with Beef Bone Broth instead of bullion. And the meat choice is perfect. And I’m able to modify, with respect of course to help out my husbands diet needs. I love that you shared how you made this for your own family, it’s good for everyone to read about the different ways to make this ! I am so glad that it worked for you! !